April | 2013 | Thy Glory O' Nigeria..! I have read several reports that indicate that the militarily weak Nigerian government has planned to grant amnesty to terrorists in Northern Nigeria. The ruler of Corruption ridden Nigeria, Goodluck Jonathan. A confused, clueless man? These reports are ridiculous and all but indicate a government that is clueless and useless. There is a war going on in Northern Nigeria. This is no longer news. What is news it that both local and international media have lost tracks of the different battles and incidents. 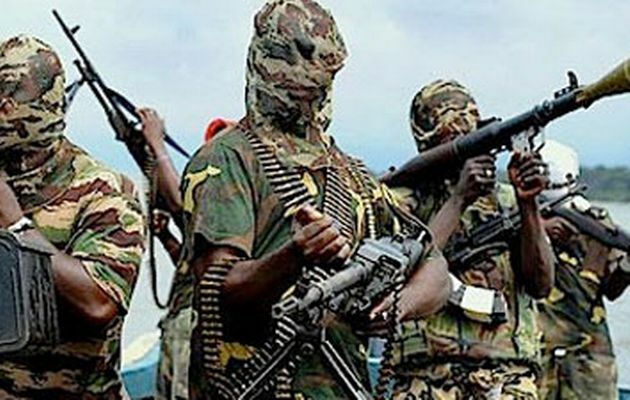 Terrorism held fast in Northern Nigeria. It is also glaring that the war between the Nigerian military and the Boko Haram sect is now full force. About 200 people were reported killed in gunfire and arms battle this last weekend (week 16 of 2013). According to reports in the PUNCH newspaper, 2,000 houses, 62 vehicles and 486 motorcycles were either burnt or vandalised during the clash in the early hours of Saturday. Who declares amnesty in the middle of a war? The terrorists have no plans to lay down their arms. They are on the rampage, killing, maiming and destroying both living and non-living things. School days are over in Northern Nigeria because Boko Haram has ensured that several hundreds of schools have been razed. Church days are over because Christians have been murdered in cold blood. Life is gradually coming to an end in many parts of Borno under the control of Boko Haram. Government houses are been shut or sacked and police stations and prisons have been set open in many states to free criminals. In the last year alone, more than 3 000 have died. For unreported incidents, we are talking about a toll that may hit 10 ooo in a country where records and statistics are scanty. Boko Haram remains a mystery to the Nigerian presidency that described the sect as being constituted of ghosts. Boko Haram is determined to end the regime of Goodluck Jonathan and I thought the message and actions are clear. What is the amnesty about? The weak central government of Nigeria is definitely misusing the word amnesty. The government is planning a re-election in 2015 in a country that lies in ruins. You won’t find a crazier selection of politicians anywhere in the world. Nigerian politicians are crooks and blood suckers. I think it is better to say that the government of Jonathan is channeling some free funds into private pockets by using the word amnesty. Boko Haram is on the rampage. The sect has not denounced its objectives which include a violent overthrow of the corrupt and stupid Nigerian government. The sect also wants to institute Islamic codes and forms of government across Nigeria. The ambition is huge but has been largely successful in Northern Nigeria where Mr. Obasanjo provided the catalysm of aiding the establishment the Sharia governments across the North. Amnesty is given to a people who have denounced their cause, become repentant and involved in negotiations to restore peace, order and the rule of law. Book Haram fighters never told anyone that they wanted amnesty or that they have abandoned their causes. As far as I am concern, Mr. Goodluck Jonathan becomes a sponsor of Terrorism when he starts to send funds and money to those pursuing terror acts whether in Nigeria or anywhere else. When the amnesty package starts to roll out, I will call for the arrest and prosecution of Jonathan for sponsoring terrorism. My hope is that Mr Jonathan should be placed on a “most wanted list” for sponsoring terrorism when he starts to openly channel funds to the terrorists of Northern Nigeria. Unconfirmed reports have insinuated that Boko Haram receive huge funds from the governors of Northern Region of Nigeria. 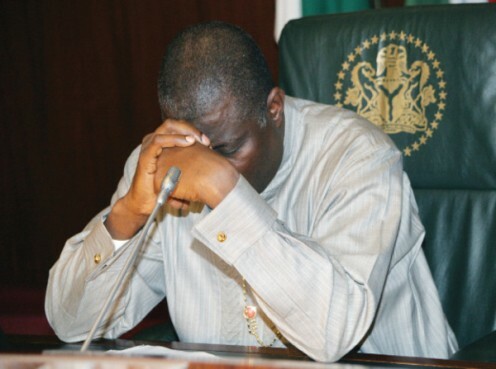 Even Goodluck Jonathan has often carelessly stated that Boko Haram is within his weak government. So invariably before now government funds have reached Boko Haram in the past through the back doors. Is Mr. Jonathan trying to openly support terrorism through his stupid amnesty plan? •	the struggle towards achieving a lasting peace and prosperity to all people and not the few selected idiots currently draining the country. This last weekend I received a confirmed report about my fears. An eyewitness told me how Chinese companies are digging deep into Nigeria’s Resources and taking away the deposits in the Earth. In some places, they have dug as deep as 10 storey beneath the soil level. The chinese are taking away the Resources that the useless Nigerian rulers have neglected. Stupid and useless Nigerian rulers continue to depend on oil from the Delta. Even then the oil itself is being stolen by national and international crooks. The Chineses are paying almost nothing. What is N350 000 custom dues for minerals Worth over N5m dollars????? Is Nigeria totally a useless country??? How can the rulers and the people allow this? The simple answer lies in the fact that the Minister in charge of Resources-whoever the fool is- is receiving bribes Worth a few hundred millions from the Chinese and turning away his/her Eyes. To even imagine that the people cannot start a revolution that will eliminate all these greedy rulers politicians is another scandal. Nigerians are the most corrupt people in the World, Nigeria is the most corrupt country! Corruption get levels, naijas own is unimaginable and irredeemable. Otherwise is there anywhere else in the World where the Chinese can go and cart Resources? 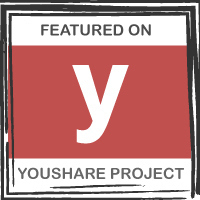 They are not even into partnership that will utilise the Resources in Nigeria. They are taking them away to make as much as USD5m per take away and paying about N350 000 as custom duty. This is unbelievable. Nigeria is finished. The people of Nigeria are poor for many reasons. This is just a part of it. Nigerians live in the World worst irony and tragedies combined. There is nothing wrong if every Nigerian family is a millionaire family and this can be achived legitimately. But a few privileged people have seized the political machinery and used corruption to divert the Resources of all to just a few. The gap is widening Daily. In every establishment in Nigeria, people are expected to succeed through shady deals and magomago. The rest-several millions of Nigerians, more than 90m people are living poor in a very rich country. There will be no greater tragedy on the surface of Earth or in the history of mankind. Nigeria, Nigerians, who will save your souls? Though it is an African tragedy that our useless leaders have lodge away billions of dollars in European Banks, still it is a European silliness to play ignorance to the effect that this political recklessness is having on Africa economy. Imagine since when people have been asked to continue to donate money to Ethiopian Funds. In the request, the soliciting agency described Ethiopia as the poorest people on earth! Would it not be better for example if EU Ministers dig out the European banks where African leaders have lodged away billions upon billions of dollars and put that money back into Africa? If Europe sends back all of Africa’s looted monies, many of the problems requiring financial inputs on the continent would be solved. The signal would have been clear enough that no stolen money can leave Africa and if they do, they are not acceptable in Europe. They should also return money stolen maliciously through unfair trade before requesting for equal partnership just because they want to beat China in the game of evil plots. In my opinion, I think that Africans should start looking for long term solutions to their man-made problems instead of seeking aids like beggars. Afterall there are no serious natural disasters in Africa or they are simply infrequent. The earlier we realized that help will not come from outside, the better for us. The sooner we realize that external help is receiving 10 dollars with the right hand through the front door and losing 50 dollars with the left hand through the back door, the better for our own good and that of our children. Africans should sit down and think positively. The world has moved into the 21st century and we need to hasten and meet up. We need a critical examination of our situations and clear cut approaches to our everlasting goals. Africa with the help of needed right thinking leaders and intellectuals must move away from too much talk to non-stop actions until we reach the goals and further. Great Nations used their best brains to achieve greatness to the good of all. That is why real elections are a fundamental part of most developed countries. The masses use that democratic opportunity and their voting power to entrust their welfare and that of the state generally into the hands of the people that can deliver. African leaders should stop depending on the International community. The continent of Africa can be great on her own, but not in isolation from the rest of the world. What about aligning the system of governance to promote fairness and the emergence of issues instead of personal ego, character assassinations and violent physical assaults? What about promoting fair trade for our commodities? What about the oil rich countries in Africa using their oil resources and agriculture to boost their economy and standard of living? What about putting all the potential mineral deposits in Africa into positive use and not as weapons of war? What about putting a stop to looting and then coughing out all stolen wealth and dedicate that to development reforms? Can Africa leaders stop enriching the developed countries while spreading poverty and pain on the continent? Our leaders should stop thinking that we cannot develop without the help of the developed countries. We need them as much as they need us to buy our goods and services on a fair trade level. We need them and other developing countries too in respect of the concept of the benefits of international trades, for multilateral co-operations and so on. At the same time, African people must be bold to seek justice and fairness from those who misrule the continent. This is an imperative ingredient to growth and development. There may probably be no need for begging when we do our homework and stop our leaders from looting our treasuries. We may not need some famous musicians to sing into the ears of the so called G-8. Together, we can make Africa G50+ and make ourselves the envy of the world in no time if we define our purpose of existence with the concept of common good. China’s intense quest for Africa has raised eyebrows and concerns in America and Europe. Some people say to Europe and America “serves them right”. With a looming AFRICOM from the America side, what I see is the scramble to destroy Africa by plunging deeper than ever before. It is so unbelievable the kinds of puppet leadership that continue to prevail in Africa. Sometimes I wonder where African intellectuals are spending their lifelong sabbatical such that constant idiocy is a norm on the Dark Continent. Africa is so bad that much of it is even dark from a space view! Before the determination or the end of the eventual tilt of the mad struggle for the new acquisition or re-destruction of Africa, one hopes that Africa wakes up and does her negotiations and businesses with open eyes, a sound brain and with the overriding interests of poverty stricken African people in mind. 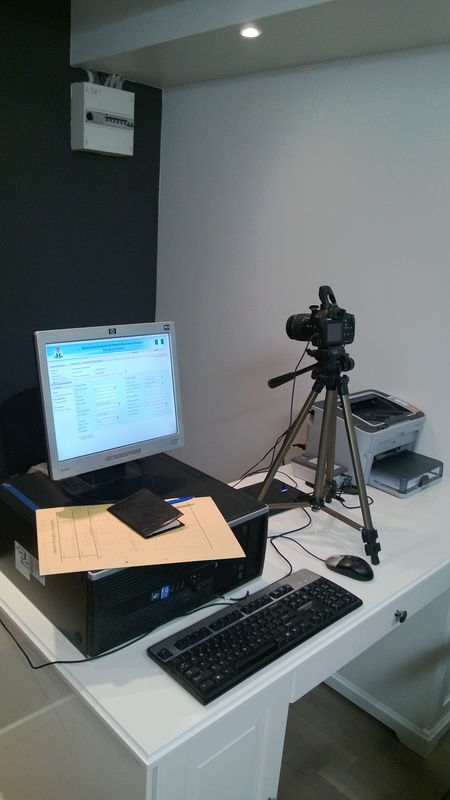 The Nigerian Embassy in Sweden has commissioned its first biometric machine. 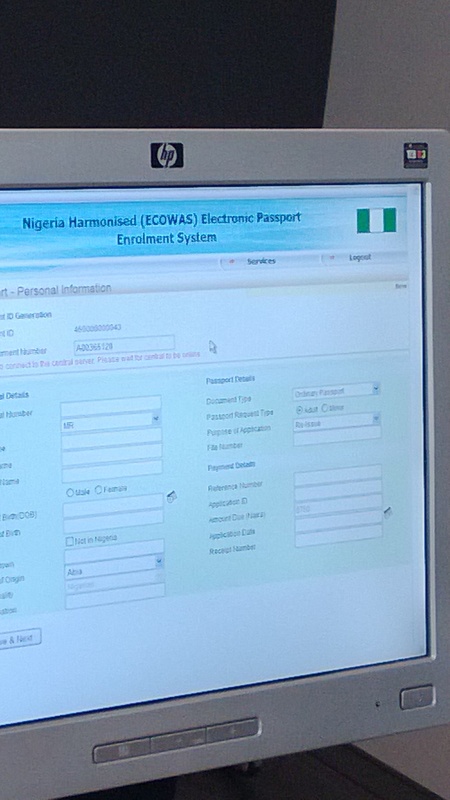 The machine will serve Nigerians living in the Nordic countries namely Sweden, Finland, Norway and Denmark. 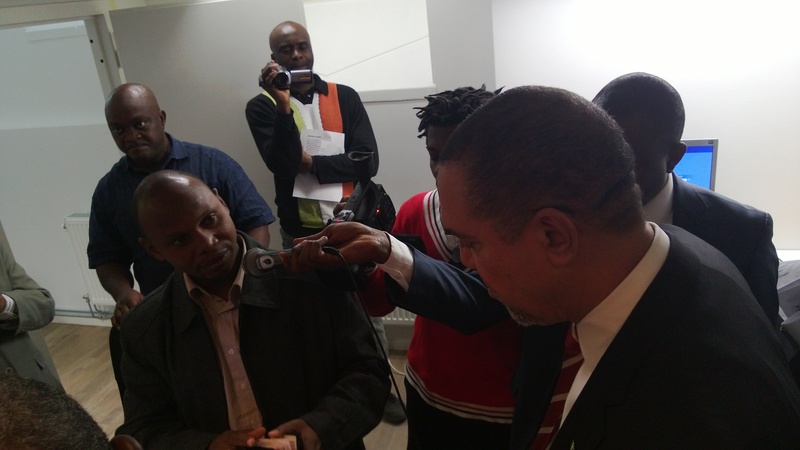 The Assistant Comptroller General of Immigration Rilwan Bala Musa was on hand on the 28th of March 2013 for the commissioning ceremony held at the Nigerian Embassy in Stockholm. With this development Nigerians in the Nordic countries will now be able to process and procure their Nigerian passport with ease after fulfilling the passport issuance or renewal requirements. l had complain bitterly about the harrowing experiences of Nigerians in the Nordic region in procuring or renewing their passports. The Nigerian Embassy in Sweden was opened in 1967. So, after 46 years of its existence the embassy in Stockholm finally made a landmark achievement that will alleviate the plights of Nigerians in the Nordica countries. 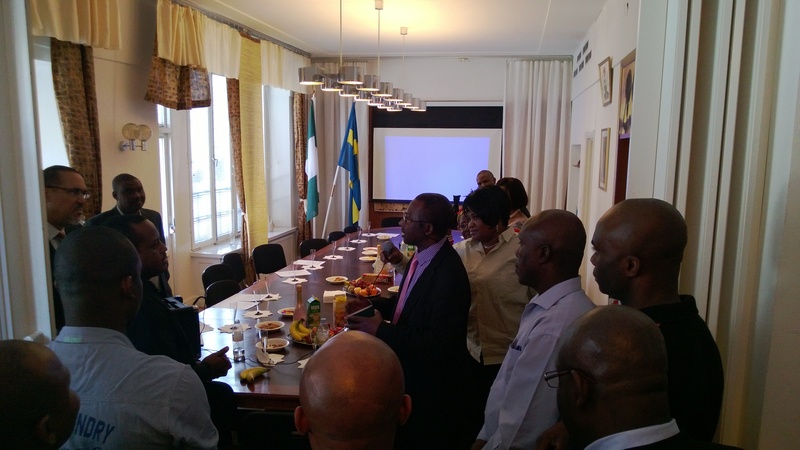 The present Nigerian Ambassador to Sweden, Norway, Denmark and Finland Mr. Benedict Onochie Amobi made it the number-one target of his administration to ensure that the biometric machines are installed and functional. By working closely together with the Nigeria Immigration Office in Nigeria the promise he made when he assumed office in 2012 has now been fulfilled.